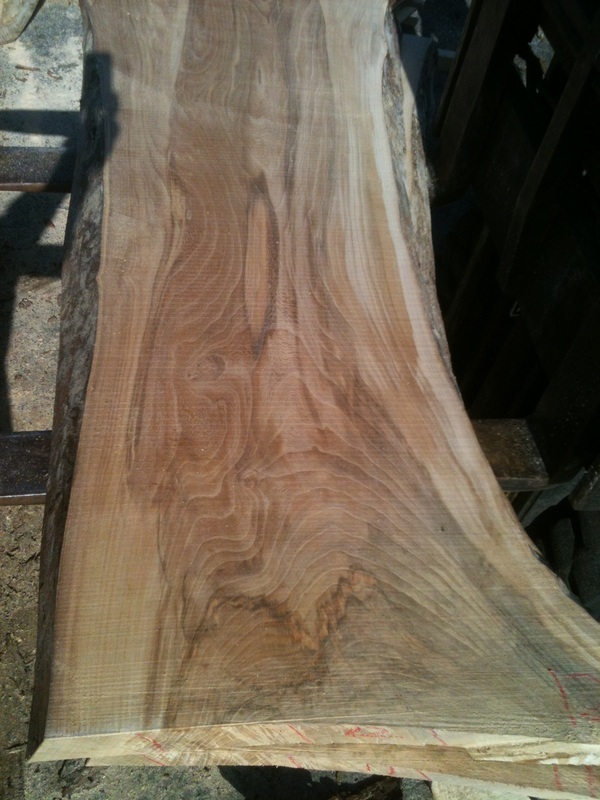 This tree was grown, milled and dried within a one mile radius here in West Kingston, RI. 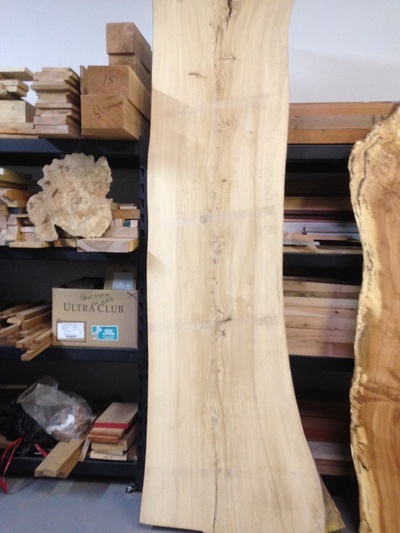 These wide American elm slabs are perfect for desks and tables. One log was milled at 12/4 x 22-36" x 6' and the other was milled at 12/4 - 16/4 x 18"-32" x 8'. 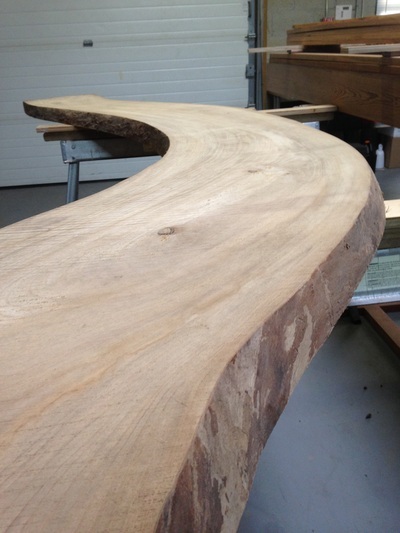 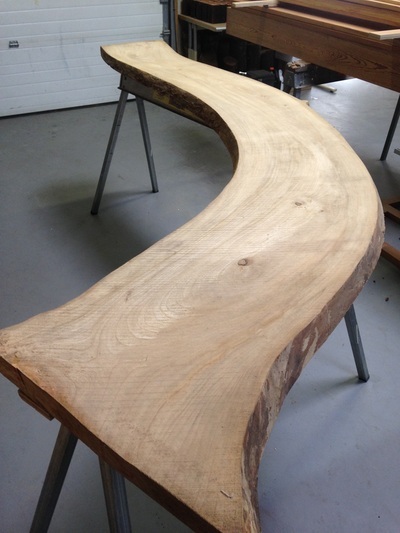 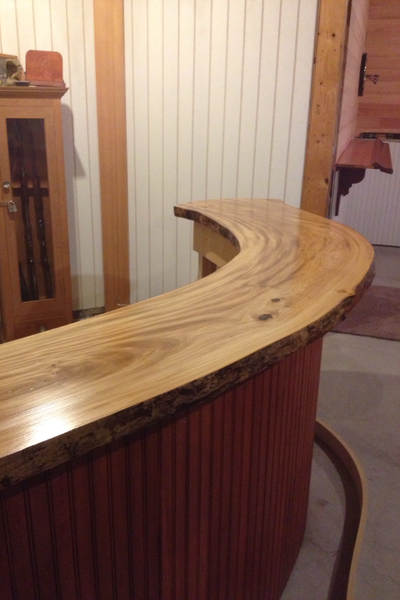 We have two beautifully curved limbs of American elm. 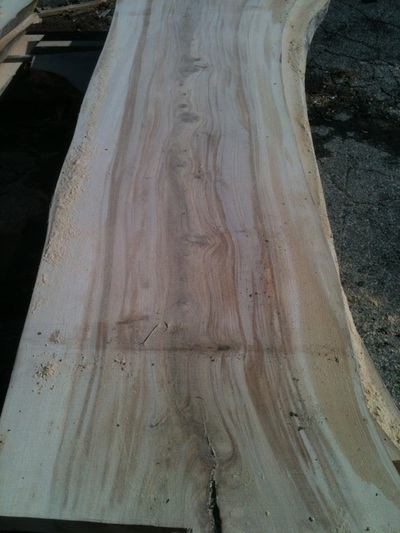 These unique slabs speak for themselves. 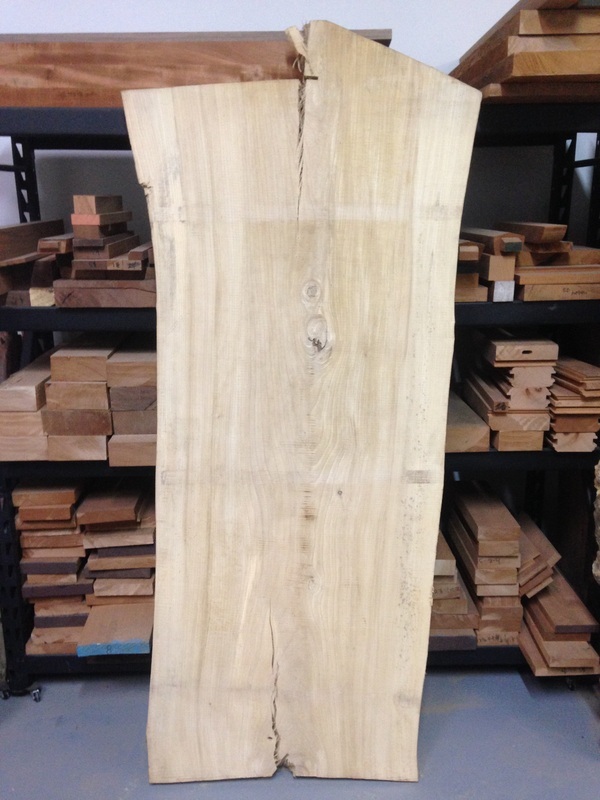 The smaller limb measures 6/4 x 12"-16" x 6' and the larger limb measures 12/4 x 12"-16" x 9'. Elm cut from the property of the John Brown House in Providence, RI.